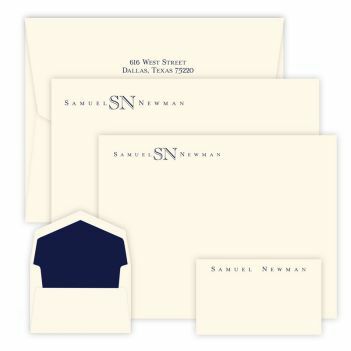 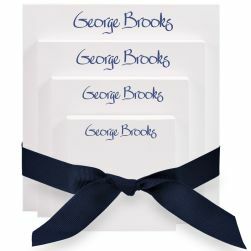 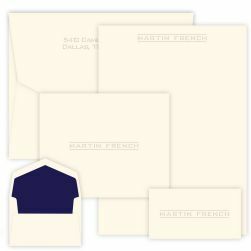 Our Olympus Wardrobe - Raised Ink includes flat correspondence cards, Apex cards (for up to 5 initials), and gift enclosure cards all on our double-thick card stock. 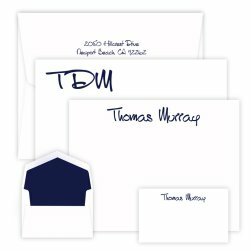 Our popular open-face font is used for up to five initials and a serif-style font is used for the first and last names. Design your unique stationery wardrobe today.